With professional skills, covering a gamut of symptoms and techniques, I work intuitively, and with great care, to ensure positive change specific to each person. For results you need to have the right person, I recommend you contact and chat with me prior to any therapy. I am New Zealand born and bred but have always considered myself an Australian after living in the warmth of Queensland for over 20 years. In 2003 we moved to England and had 10 wonderful years there where I had a thriving practice in Knebworth, Herts, and Moorgate, London. However, with the grandchildren growing up in New Zealand and Australia, this year 2013, I have moved back to Australia to be closer to them. My wonderful clients can still skype and facetime with me, as can everyone else who wants support and help at difficult times in their lives. I am happy to help you make a difference. My life has involved teaching, farming, all aspects of retail enterprise, business management, finance, computers, plus communications and healthcare. I am creative, too, enjoy watching sports, and a good listener. As a result of this wonderful variation I have an affinity with so many of my clients. This is my fulll time occupation, it has been for some many years, and I have helped many hundreds of people change for the better. 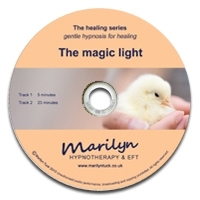 EFT - EFT (Emotional Freedom Technique)works so well with hypnotherapy and I trained in Levels 1 and 2 in London and then completed the advanced EFT Level 3 Practitioner training, with Dr Tam, and Mair, Llewellyn, 2 of 29 Masters in EFT worldwide. TFT - Thought Field Therapy, TFT, is an amazingly fast, specific, energy clearing and healing technique. It can take only minutes. As a Callaghan accredited practitioner, trained by Kevin Laye, I use this method daily with PEP and EFT for rapid change. PEP - Psychoanalytical Energy Psychotherapy, PEP, involves kinesiology techniques and meridian tapping to bring about deep change. I am privileged to be in continual training in this amazing field under Dr Phil Mollon, psychotherapist, energy therapist, researcher, author and speaker. BSFF - A welcome side shoot of TFT is BSFF (Be Set Free Fast) and I studied this also under EFT Masters Tam and Mair Llewellyn. 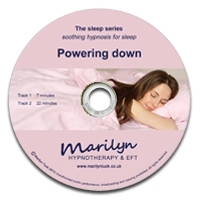 I studied Past Life Regression under Karen E Wells (a Michael Newton Institute trainer). This involved days of practical training, practicing PLR, and completing numerous case studies. I have also experience with Life between Lives hypnosis. 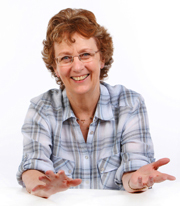 I am a practitioner of the Bridges To Success method for people with learning difficulties. Using NLP and hypnosis techniques this offers extraordinary, and quick, help for all those with difficulty in mastering reading, spelling, writing, and comprehension skills. I am always studying further. CPD attendance at comprehensive hypnotherapy master classes has included smoking cessation, fertility, pregnancy and childbirth, whole brain learning, working with children, panic, stress, weight control, IBS, cancer and psychoneuroimmunology to name a few. I have also trained in 'The Healing Journey' which assists cancer patients rehabilitation. I am fully qualified in The Fertile Body Method helping infertility issues, and in giving hypnosis for childbirth. I am up to date with full First Aid training and am CRB checked. I practice under a strict code of ethics and your confidentiality is totally respected. I also have an approved NHS supplier number. I have supervised and tutored both the LCCH certicate and post graduate hypnotherapy diploma course. 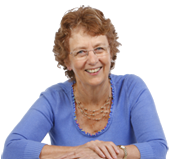 My teaching training, experience and enthusiasm ensures those I tutor in hypnotherapy learn, practice and enjoy their courses. As a clinical supervisor for the BSCH I welcome work in this area. No matter how you want to improve yourself I would like to help you, or refer you to someone who can. Many satisfied clients have allowed me to use their comments so please, do check them out.. This is great therapy, I so enjoy your results!